GRACE.CHARITY: NAILS TALK: PRETTY SERIOUS PARTY TIME! EXCELLENT! 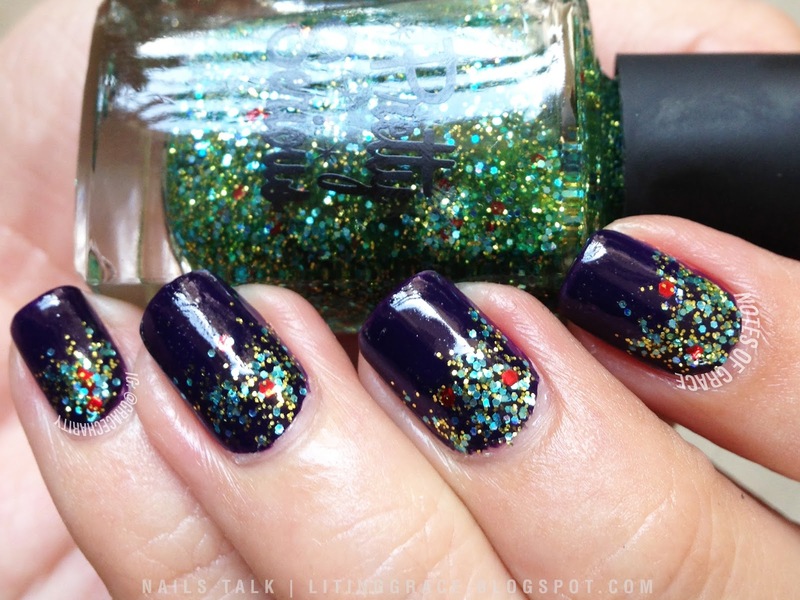 NAILS TALK: PRETTY SERIOUS PARTY TIME! EXCELLENT! Making an appearance on this space today is yet another polish brand that is new to Nails Talk (but not to me). Pretty Serious Cosmetics is an Australia based company and its creations are cruelty free and made with vegan products. Because its products are moulded with personality, fun and class, there's bound to be something suitable for every lady. Pretty Serious Cosmetics recently launched the Pretty Serious Hit The Road collection, comprising of six fun and unique polishes inspired by famous cars. A collection inspired by famous cars? That's really a cool idea! The polish which I'm reviewing today is Party Time! 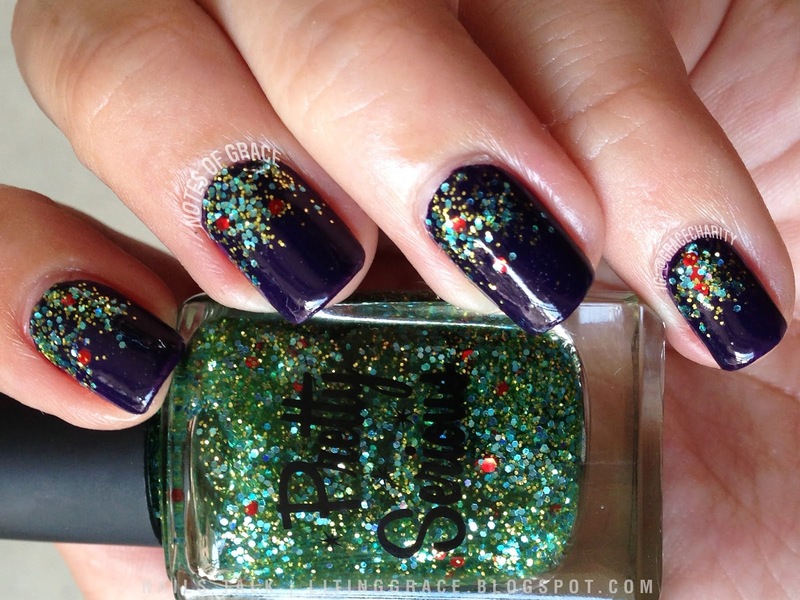 Excellent!, a combination of pale blue glitter mixed with gold and red in a green tinged jelly base. This beauty is based on the Mirth Mobile, the baby blue AMC Pacer seen in the Wayne's World movies. This is my second polish from Pretty Serious Cosmetics and I'm glad that it did not disappoint in terms of formula. Application was smooth, reaching opacity with three thin coats. What I like is how the addition of the specks of gold and red glitters to achieve the flame effect. It certainly made the whole look more interesting, with a pop of color! On it's own, it's amazing, but I wanted to see how it would fare when I layered it over another color, so I chose to layer it over OPI Sapphire Snow and I was blown. Against a dark base, the glitters really pop and I received several compliments for this look! Brownie points for its versatility! Party Time! Excellent and the rest of Hit The Road collection is available on Mei Mei's Signatures at SGD16.00 each. International shipping worldwide is available as well. Alternatively, you may also purchase them at Pretty Serious Cosmetics's website here. Do also like their respective Facebook pages here and here for more updates and information.